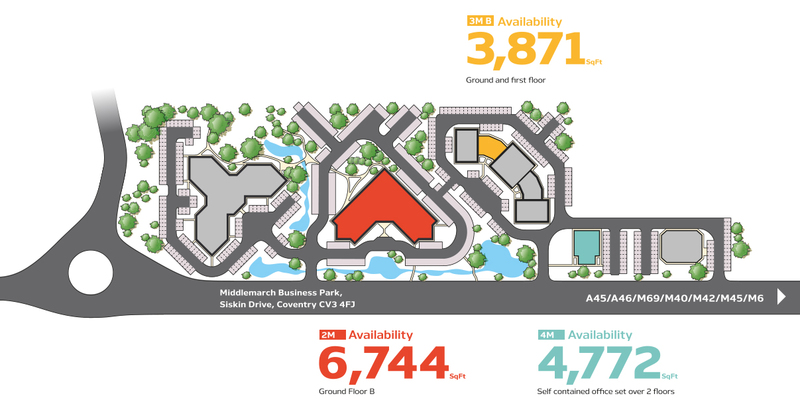 Middlemarch is an established office park strategically located at the heart of the UK and is home to a number of excellent occupiers. Middlemarch is not just an office location but offers a complete environment and sense of community. The estate is proactively managed and the team are committed to maintaining the environment to a high standard for the benefit of it’s occupiers. A 24 hour a day security presence in combination with a comprehensive CCTV System provides a safe and secure working environment for occupiers.